I am a painter , an artist.From years, also worked as a teacher of the arts , including painting and drawing. 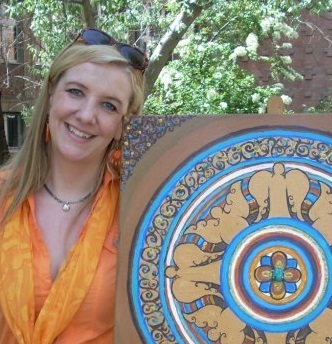 I run workshops and therapy mandala painting mandalas. Many years ago I choose the path to help people,to heal them with my arts and touch. 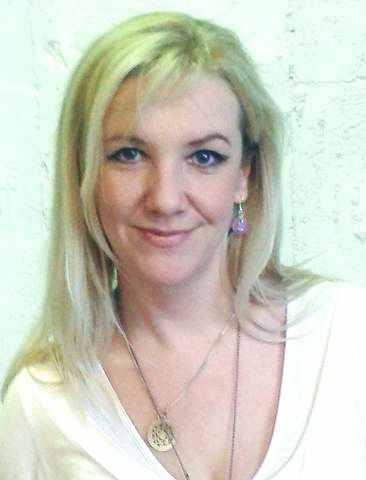 I’m Also adviser carmic – spiritual , I am a certified instructor of ThetaHealing ® DNA methods. For several years, my whole life is focused on the spiritual development, . Neelavathi ( Nilavati ) is a spiritual name – given to me by my spirytual master ..the importance is related to the Goddess of art and wisdom.Calling this name supplies , like a mantra , both of my vibrations and those who pronounce them . I have the blessing(diksha) given to me by a spiryual master – the gift of healing people by touch and through my paintings . Since I met with the philosophy of yoga – I try to apply the principle of ” ahimsa ” – that is, to avoid harming any other beings. I ‘m A vegetarian , sensitive to the suffering of animals. In 2001, I graduated with honors and a degree in higher education art. I am a graduate of the European Academy of Arts. I have a diploma from the Faculty of principal it was received in the studio of graphic design from professors Julian Pałka and Mieczyslaw Wasilewski. While I defended a diploma in the art of painting for prof. Dariusz Mlącki I also received a degree in graphic arts for my work with prof. Waldemar Szysz. My master thesis was devoted to the work of Hieronymus Bosch and received an award from Dr. Isabella Galicka. In my career I had many solo and group exhibitions. The spectrum of my artistic activities are mainly painting and graphic arts, stage decoration and wall painting. I’m also a theater instructor and director of several shows. I am familiar with activities for scenography and artistic arrangement of space. My many years of experience, in the organization of openings, resulted in ease of taming space. For many years, in addition to artistic activity, I was the lead author of children’s art classes as well as classes in drawing and painting for adults. I run the mandala painting workshops as well as healing touch sessions and spiritual counseling. I am fascinated by Eastern culture and with it comes the mainstream of my worldview. Recently, the most emerging theme in my paintings is the Mandala.